Worcestershire's Best One-day Show! A Great Day Out for the Whole Family. Children 12yrs and under enter FREE! Dog Friendly Show. NEW COMPETITION ANNOUNCED FOR 2019! Hanbury Show Granted Charitable Status! 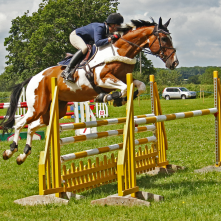 The 72nd annual Hanbury Show will be held on Saturday 6th July 2019 and is a fantastic summer outing for the whole family. Open from 9am to 6pm, the Show is a wonderful and exciting day out with plenty of displays, entertainment and local food. With more than 700 exhibitors, 200 trade stands and over 200 competitions, activities and displays. 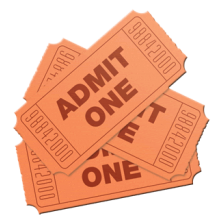 For those who have never attended the Show before, Hanbury Countryside Show is a showcase event for farming, the countryside and rural life. 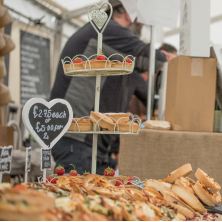 The one day event brings together the very best of rural Worcestershire with fantastic displays of horses, cattle, sheep, pigs, horticulture and much much more. Once again we would like to thank all our exhibitors, competitors and visitors who attended the 2018 Hanbury Countryside Show. We had just over 12,000 visitors who were able to enjoy a vast range of entertainment, competitions, retail and networking opportunities. We would also like to thank our wonderful volunteers, without them we wouldn’t be able to run the Show. 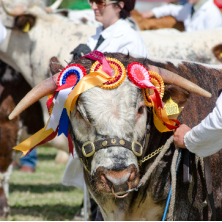 We look forward to welcoming you to the 72nd annual Hanbury Show on Saturday 6th July 2019.